When marketing property it’s not uncommon to get resistance from some sellers when it comes to using “For Sale” boards and Showhouses. Some sellers are concerned that Showhouses will just attract nosy neighbors instead of genuine buyers. They are may also be reluctant to let their neighbors and friends know they are on the market and so resist For Sale boards. So are these marketing tools really necessary? Before answering the question, it’s important to appreciate the strategy around getting the most in the market for a property. The only condition under which a buyer will pay their maximum for a property is when they know they are competing against other buyers for it. Fear of loss moves them to make their best offer. That being the case it’s absolutely critical that a property gets the best possible exposure to attract the best and the most buyers. Successful estate agencies know that marketing needs to include all the available marketing methods. Some of these are print, websites, and marketing to buyer databases. Do we want your neighbors to know you are listed? Absolutely! Your neighbors may be renting and would consider purchasing in the area. Or they may have friends and family who like the area. Hiding your listing from anyone means you are unlikely to sell for maximum. 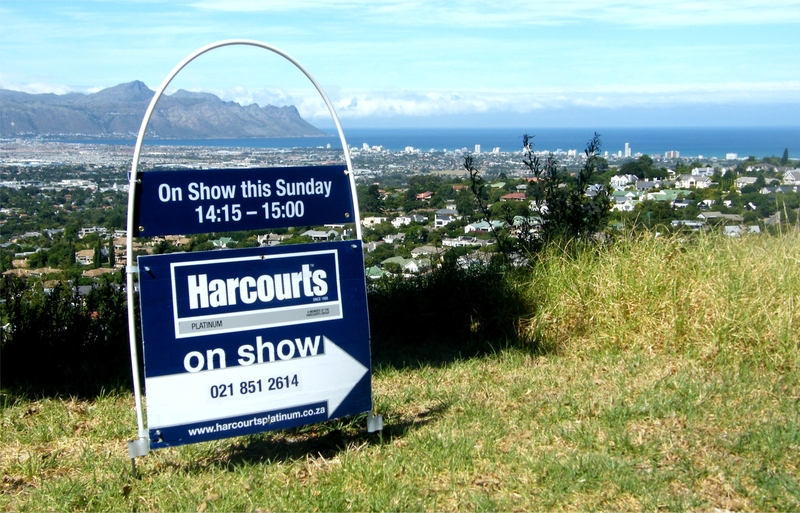 For Sale boards are an extremely valuable method of attracting buyers. The board tells people that a property is for sale. We’ve pioneered the Photo Board over the last few years at Harcourts, with phenomenal success. A Photo Board highlights a feature of the property not visible from the street – such as the view, or entertainment area. In addition, the board lists the accommodation features and a QR code that a buyer can scan and go straight to the website listing. When a buyer enquires off a Photo Board the enquiry is exceptionally strong. What of Showhouses? It’s true that just sticking up a few boards and hoping the right buyer stumbles across the property is generally ineffective. But when a Showhouse is property marketed in the newspaper, in a specific time slot, there is a significant increase in the number of quality attendees. Harcourts has been advertising all Showhouses in the weekly newspapers for a number of years and the results are staggering. Showhouse attendance is also increased when buyers are specifically invited to the showhouse. This is done through email marketing to a database of qualified buyers. Our research at Harcourts shows that 1 in 4 sales’ comes as a result of our For Sale boards or Showhouses. So if you want to sell for the most the market will pay can you really afford to exclude For Sale boards or Showhouses from your marketing plan? Next Post Is Auction For You?